DHAKA:Prime Minister Sheikh Hasina said here yesterday that the government has emphasized on participation of students in sports and cultural activities side by side with education for flourishing of their talent and physical and mental growth. 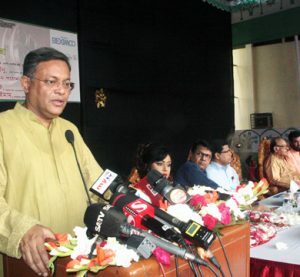 In a message on the eve of Bangabandhu Gold Cup Primary School Football Tournament 2018 and Bangamata Sheikh Fazilatunnesa Mujib Gold Cup Primary School Football Tournament 2018, the Prime Minister said the football tournaments, organized by the Ministry of Primary and Mass Education, have been creating special attraction among primary school students from grassroots level. 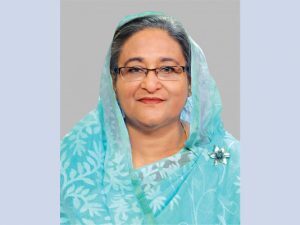 She said 11,18,551 boy students from 65,795 primary schools are participating in Bangabandhu Gold Cup Primary School Football Tournament 2018 and 11, 16, 900 girl students from 65,700 primary schools in Bangamata Sheikh Fazilatunnesa Mujib Gold Cup Primary School Football Tournament 2018. “These two are among the world’s largest football tournaments . . . it is creating interests among the students because primary schools across the country are involved in these two football tournaments,” said the Prime Minister. She hoped that the football tournaments would help develop skilled sportsmen who would brighten the image of Bangladesh in world sports arena. The Prime minister wished a success of these two football tournaments.